The family of a teenager who was stabbed in the street have launched a campaign calling for longer sentences for knife crimes. 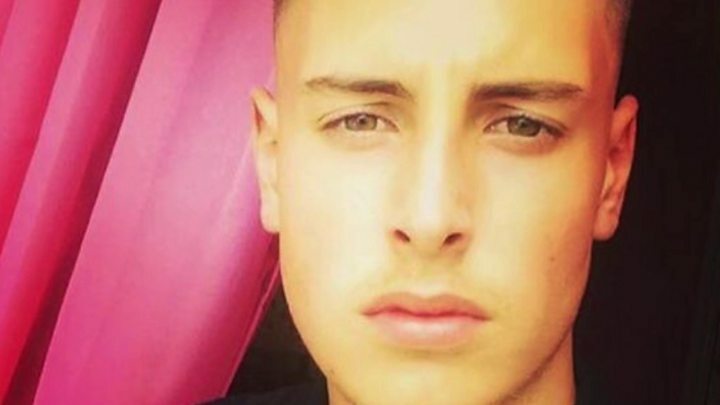 Kyle Yule, 17, was attacked in East Street, Gillingham, on 6 October and died later in hospital. A 16-year-old boy and a 19-year-old man have been charged with his murder. His stepfather Samir Ghailan said: "Telling my little girl that her brother has gone to heaven is the hardest thing I've done in my life." He said Kyle's older brother and younger sister were "broken inside". Kyle's family and friends have set up Families Against Knives, campaigning for longer sentences for knife crimes. "Everyone can get hold of a knife, but if you walk on the streets with it you should do a minimum of five years," Mr Ghailan told the BBC. "Our children should be safe on the streets and shouldn't be worried about knives."